For lots of information on the Gaydon, its amenities, useful contacts and upcoming events, head over to the new Gaydon Village Website here, to take a look. Click below to step inside our shop for a look around! 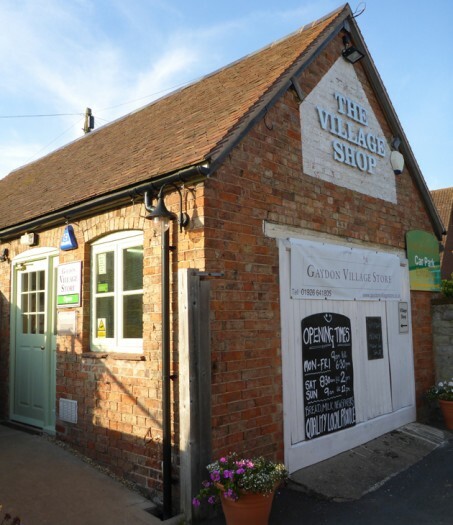 Our new Friends of Gaydon Village Stores Membership scheme holds a special draw each quarter, with many fantastic prizes from local businesses. Why not become a member yourself for £12 a year for a chance to win some exciting prizes and support your local shop at the same time? Contact the shop for more details. Gaydon Village Store was created on 8th September 2008 and after 2 years of raising funds, it officially opened on 15th May 2010. Set up as a Community shop to be run by volunteers, it is non-profit making; any profits made are either distributed back into the community or used to improve the store. It is approximately 75% run by volunteers, 25% paid employees and managed by a voluntary committee. The shop has changed considerably since first opening; originally it was open for only 4 hours in the morning, then the hours were extended to 2 hours in the afternoon. 2013 saw the biggest change, when a decision was taken to open all day during the week from 9am til 6.30pm. This was not possible with volunteers alone, so two paid employees were recruited on a trial basis. It's success was immediate and none of the reserves had to be drawn upon. Sales for 2013 increased by 25% but that does mean that smaller profits are made to cover the additional expense. Customers can now rely on the shop being open all day and because of its emphasis on local produce, neighbouring villages use it too.